Despite widespread alarm over the breadth of Russian cyber attacks on state and local election systems last year, including revelations of Dallas County being targeted, Harris County officials are refusing to say whether hackers similarly took aim at the nation’s third-largest county. Releasing information on whether Harris County election systems saw attacks from Russian hackers would threaten the county’s cyber security by emboldening hackers to further target local systems, county officials said this week. The county’s argument was dismissed by experts, who said the secrecy is unnecessary, and could actually downplay the seriousness of the threat and the resources needed to combat it. Bruce High, the chief information officer and executive director of the county’s Central Technology Services, said Harris County overall sees on average more than a million hack attempts every day. He even acknowledged a recent “spike” in attempts to hack Harris County servers from outside of America’s borders. Dan Wallach, a Rice University computer science professor and scholar at the Baker Institute for Public Policy, who has testified before Congress about the cyber security threat to elections, said that to an advanced threat like Russia, there likely are no secrets about Harris County elections. 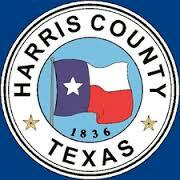 Asked if Harris County had been targeted in a similar manner as Dallas County, High said the county had not received a list of IP addresses from the Department of Homeland Security. He added that both the FBI and the Homeland Security department will flag Harris County when they have concerns about specific IP addresses. High did not respond to questions seeking details on how often such concerns are brought up, how big of a “spike” in hacking attempts the county was experiencing and over what period of time, whether that spike was election-related or which systems had been targeted. Wallach said he was concerned about the ability of many local jurisdictions, including Harris County, to protect against a targeted threat from an advanced adversary like Russia. He said he believed it was probable that Russia had at least targeted Harris County servers, but also that in many cases, attackers are so sophisticated that local officials would not even know that their systems had been breached. “The category of adversary we’re facing now is not something that Harris County government is equipped to deal with,” Wallach said. I work in IT security and had a few thoughts about this, but then I saw that Dan wrote this piece with a much deeper analysis than I had done, and I figured it was better to outsource this to him. Computer security experts who deal with nation-state activities use the term “advanced persistent threats” (APT) as a shorthand to indicate that our adversaries have significant capabilities, including both engineering resources and spycraft, to quietly break into our computers, spread out across our networks, and avoid detection. It’s common for APT attacks to last for months to years prior to detection. Given these threats, we need to conduct a serious analysis of where our elections stand. Harris County’s Hart InterCivic eSlate voting machines, for example, haven’t had any major security updates following studies conducted a decade ago by the states of California and Ohio. (I was part of the California effort.) In short, an attacker need only tamper with a single voting machine. After that, the infection can spread “virally” to every machine in the county. Compounding the problem, all of our vote-tabulating systems are running Windows 2000, for which Microsoft dropped all software support, including security patches, seven years ago. In the lead-up to the 2018 election, it may be financially infeasible for a complete replacement of our voting machines. We only just recently purchased our voting machines after a 2010 warehouse fire destroyed our original fleet of eSlate machines, so the funds aren’t likely to be available so soon for replacements. What’s clearly necessary, since we know the Russians targeted voter registration systems, is a major upgrade to the way our voter registration systems are managed. A redesigned system would still, by necessity, require Internet connections so voters can verify their correct polling places, see sample ballots, and so forth. Most notably, during our early voting period, we need an online database to track which voters have cast ballots. A modern design, intended to operate even if the entire Internet failed while the election was ongoing, would involve making local copies of the database at every voting center. Unsurprisingly, the needs of Harris County are essentially the same as the needs for every other county in our state, suggesting that a state-level procurement could be an efficient way to improve the voter registration security for every county’s voters. Another short-term recommendation will be for Harris County to upgrade its systems to the latest versions of Microsoft’s operating systems, even though this will require a waiver from Texas’s election certification requirements. Even though our vote tabulation systems are hopefully never connected to the Internet, they are nonetheless unacceptably weak in the present threat environment. Likewise, Harris County needs to hire a professional security “penetration testing” firm to identify other soft points in its infrastructure and prioritize repairs; such consultants need to be brought in on a regular basis for check-up exams. We also need forensic security auditors to do a deep dive into our county’s existing systems to make sure they’re as clean as we hope them to be. This isn’t just a matter of running some anti-virus scanner, since APT adversaries use tricks that automated scanners won’t detect. There’s more, so go read the whole thing. At the very least, I hope we can all agree that any system that is still using Windows 2000 (!!!) needs to be upgraded or replaced. Dan (who as you know is a friend of mine) puts in a plug for the STAR-Vote system that he helped design, and it’s definitely something the county and the state should consider. I just hope we take this seriously before something bad happens. UPDATE: Hector DeLeon, the Director of Communications and Voter Outreach for the County Clerk, has emailed me to say that the county tabulation system is running on Windows 7, not Windows 2000 as stated in Wallach’s op-ed. He says they have made this same correction to the Chronicle as well. My apologies for the confusion. With the nation facing what a January government report described as an “impending crisis” in voting technology, officials in Travis County are taking matters into their own hands by seeking to create a unique, next-generation system of voting machines. The efforts put Travis County, along with Los Angeles County in California, at the cutting edge of a race against time to create an alternative voting technology system. The new machines would have voters use off-the-shelf electronic equipment like tablets, but also provide them with receipts and printed ballots to allow for easier auditing. The development and implementation process won’t be finished in time for the 2016 elections, though officials hope to have the system ready by the 2018 gubernatorial race. Some election administrators have said the status quo will likely fall apart within a few years. Across the country, “it’s all just a guessing game at this point: How long can we last?” said Dana DeBeauvoir, the Travis County clerk. Three years ago, DeBeauvoir decided that something had to change. “I said, ‘Okay, I’m fed up. I’m going to design my own system.’” Part of her frustration stemmed from complaints lodged against the county that she felt blamed officials for things beyond their control. Travis County voters filed a lawsuit in 2006 alleging that electronic voting machines lacked reliability and security. The case was dismissed by the Texas Supreme Court in 2011. After deciding to create a new system, DeBeauvoir gathered a citizens’ study group, and then a panoply of experts, to iron out the details. The group is now close to finishing the design of a prototype known as the STAR (Security, Transparency, Auditability and Reliability) Voting System. The county intends to issue a request for proposals within a couple of months and hopes to select a winning bid by the end of the year, DeBeauvoir said. The designs already posted on the Travis County clerk’s website lay out a multi-step process: A voter checks in, signs a roster and receives a ticket. Then, she gives the ticket to a poll worker to get a unique ballot code from a ballot control station, which sends information to a voting device. At the device, she makes her choices, prints out a completed ballot and deposits it in a ballot box with a scanner. She also receives a receipt that allows her to check online the next day to ensure the ballot was counted. All the devices communicate with each other to update and confirm data. To ensure security, the system employs cryptography that “has never been done before” in voting technology, DeBeauvoir said. The printed paper ballot is particularly crucial, as it addresses one of the principal criticisms of the existing electronic systems. The touchscreen machines common in many counties lack “a paper trail that actually captures the intent of the voter so that you can audit the machines,” said Alex Russell, a University of Connecticut professor of computer science and mathematics and faculty member at the school’s Center for Voting Technology Research. During recounts, auditors can only double-check what the machines say, without any way to verify that the machines reflect voters’ choices. The presentation is here. It’s pretty technical in places, but the main gist of it is easy to understand and well-summarized by the Trib story. There’s an accompanying video of the presentation on this page, with the presenter being Rice University computer science prof Dan Wallach, who has been studying this stuff for years. Other materials are here on the Travis County Clerk website. As noted, the STAR-Vote collaboration is close to issuing an RFP for this. One key requirement for the hardware will be sufficient battery life – Election Day and some early voting days last for 12 hours, so your voting machines will need to do so as well. The collaboration will be approaching other counties to participate, which will allow for cost-sharing while making the RFP more attractive to vendors since there would be more potential customers for their proposed devices. I need to check and see if Harris County Clerk Stan Stanart has any interest in this. Our eSlate machines are as old and outdated as Travis County’s are, after all. One other potential hurdle is that this idea is very new and contains aspects that are not addressed by existing federal laws, so either the laws will need to be updated (as if Congress is capable of doing that) or waivers will need to be obtained. The latter ought to be doable, but as with anything new and unprecedented you never know what potholes may exist in the pathway. Be that as it may, this is a thorough and thoughtful design that addresses all kinds of concerns and would put electronic voting machines on a much more sustainable path. I look forward to seeing how the RFP process goes. What do you think about this?